Boiswood were asked to design, source and assemble the above pressure let down panel. Both panels consisted of 3 pressure reducing regulators and 6 ball valves each. 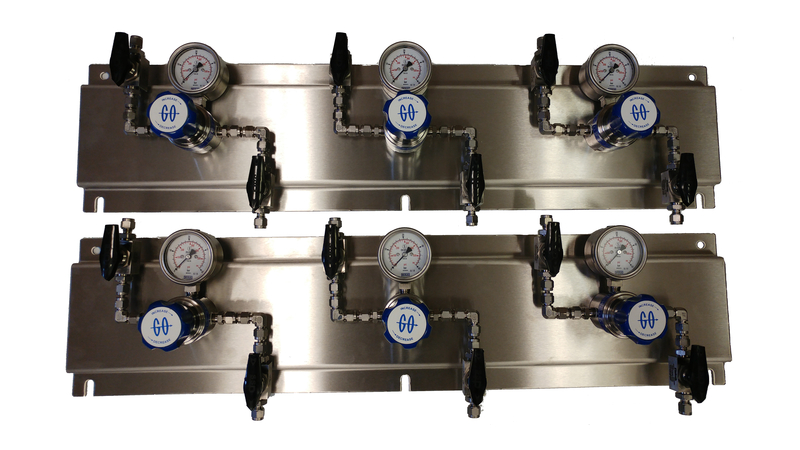 The regulators were mounted directly to the back panel and then connected with a ball valves on both the inlet and outlet side. This allowed the customer to pipe the panels as seen straight into their system and connect up to their bottle cylinders.